The complete rules of evidence with case notes and commentary plus quick answers to your critical evidence questions. 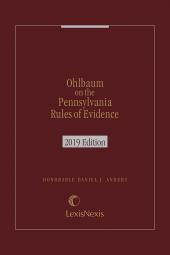 Ohlbaum on the Pennsylvania Rules of Evidence provides litigation and trial practitioners with a single source reference to the Pennsylvania Rules of Evidence, enabling them to obtain answers to evidence questions quickly and authoritatively. 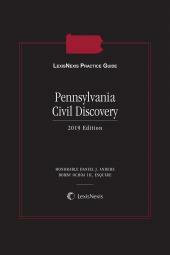 Recognized as one of the leading authoritative references on the law of evidence in Pennsylvania, this portable one-volume publication includes the text of the Pennsylvania Rules of Evidence, amendment history, Official Commentary, and comparisons of individual rules with the Federal Rules of Evidence. 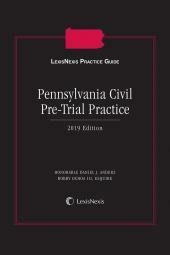 Case notes and invaluable commentary by Honorable Daniel J. Anders, General Editor, and the late Professor Edward D. Ohlbaum explain the rules' practical application. 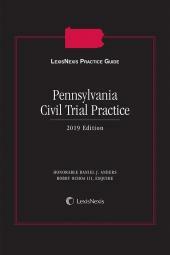 This publication is an excellent tool both for the attorney in need of an on-the spot evidentiary assessment during trial or other hearing, and for the lawyer seeking evidentiary guidance in preparing materials for trial or dispositive motion. Tracking the Pennsylvania Rules of Evidence, Ohlbaum facilitates ease of use, ready access to relevant information, and expeditious location of answers to evidentiary questions. 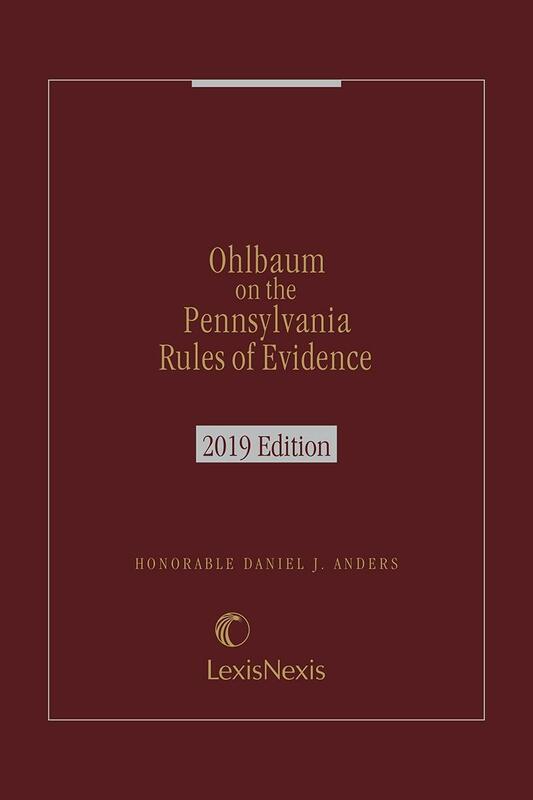 Ohlbaum on the Pennsylvania Rules of Evidence should be an integral part of every Pennsylvania litigation attorney's core reference set. The late Edward D. Ohlbaum was a trial lawyer and Professor of Law and Director of Trial Advocacy & Clinical Legal Education at Temple University Beasley School of Law in Philadelphia. He taught courses in Evidence, Trial Advocacy, Criminal Law, and Professional Responsibility and was a member of the coaching team of the school's national championship mock trial team. Professor Ohlbaum helped originate Temple's award winning Integrated Trial Advocacy-Evidence-Professionalism Program and developed Temple's unique LL.M. in Trial Advocacy program. He was the first holder of Temple's first chair in trial advocacy, the Jack E. Feinberg Professorship of Litigation. From 1992 - 94 Professor Ohlbaum served as special counsel to the Pennsylvania Legislature and was principal draftsman of Senate Bill 176, the forerunner to the Pennsylvania Rules of Evidence. In 1998 he was the co-recipient of the Cesare Beccaria Award, presented annually by the Justinian Society and Criminal Justice Section of the Philadelphia Bar Association "in recognition of his contribution to the cause of justice and the advancement of legal education." In 1997 he was awarded the prestigious Richard S. Jacobson Award, given annually by the Roscoe Pound Foundation to one professor for "demonstrated excellence in teaching trial advocacy." He was the author of three books: Ohlbaum on the Pennsylvania Rules of Evidence (Matthew Bender, 1998); Courtroom Evidence: A Teaching Commentary and its Supplement of Courtroom Vignettes (with Graham) (NITA 1997); and Pennsylvania Benchbook for Criminal Proceedings (with Temin)(AOPC, 3d edit.). From 1976 - 1983 he was a trial lawyer with the Defender Association of Philadelphia. He received his J.D. from Temple Law School in 1976.